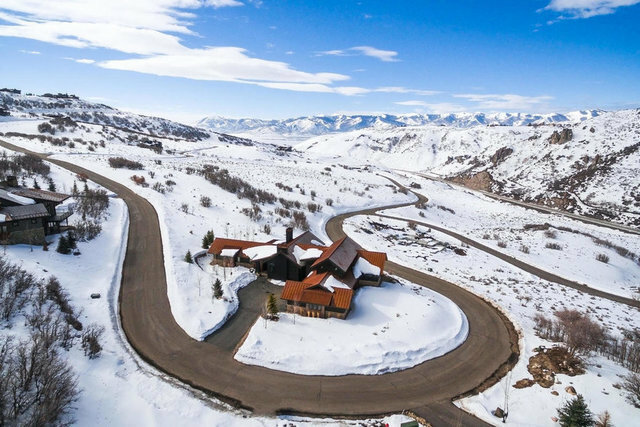 Beautiful contemporary home with incredible views and abundant wildlife in the scenic subdivision of Northgate Canyon in Promontory. This is truly a well designed custom built home that has been meticulously thought out that can live as a one level with master suite and 2nd master on main level and guest rooms on the upper level. Luxurious and spacious, perfect for entertaining in the chef inspired kitchen or out on the covered outdoor patio. Large 3 car garage for some additional toys, 5 person hot tub, infrared sauna and tremendous finishing really sets this home apart. Gorgeous landscaping and outdoor furniture create a comfortable outdoor living space to compliment the interior. This amazing home is offered fully furnished.